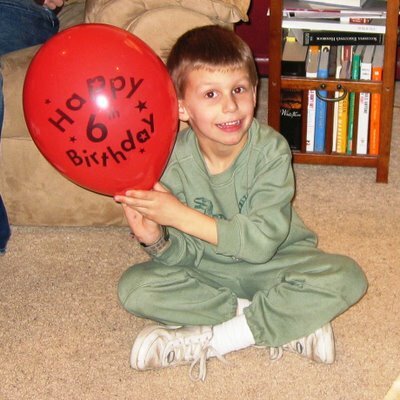 Kirsty Wertz (nee Reid): Kyle turns 6! Last weekend, Kyle had his 6th birthday party - the same day Nettie & Granda arrived here from Scotland. Here's the main crew. Susie was taking the photo, so she's not in it (obviously)! 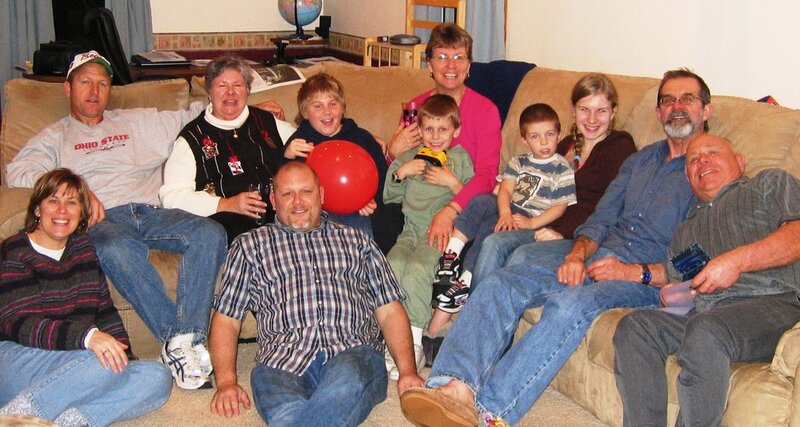 From left to right: Marty, Granny, Spencer, Nettie, Kyle, Ethan, Tatjana, Granda, Papaw. Mike and I in front on the left. And here's another group shot from Kyle's birthday party, this time featuring Susie! Same crowd, except there's Susie on the left. Kyle had a great birthday party with a Superman cake decorated by none other than yours truly with special assistance from Tatjana. It was the most unusual looking Superman logo I've ever seen! Lots of presents - electric train, clothes, books, money, wallet, and all sorts of other really cool gifts. He's a happy six year old!